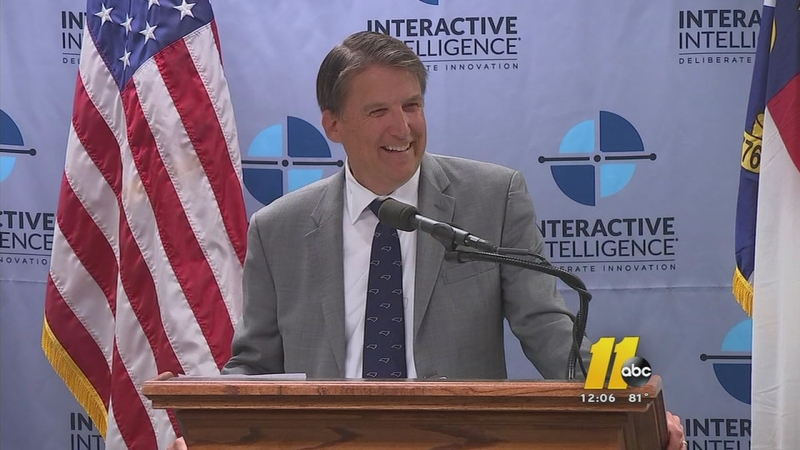 RALEIGH (WTVD) -- Governor Pat McCrory sent a video message to teachers and educators across North Carolina Sunday before the first day of school. More than 1.5 million public school students across the state will head back to the classroom on Monday. "Teaching is hard," Governor McCrory said in the video. "It's a skill, it's a passion, it's a love, it's a profession. It's not just cramming in knowing what the subject matter is; it's interacting, it's understanding methods of teaching, it's understanding your students." In the video he thanked the teachers for their hard work and pledged his continued support to improve teacher pay. "I want to let you know I'm doing my best, working very, very hard with the legislature to continue the pay raises," said Governor McCrory. He said the state is committed to spending over $1 billion on teacher salaries for the next fiscal year. And as kids are about to head back to class, he thanked teachers again, "I just want to say thanks for starting off a new year, and making a difference in fulfilling the potential of so many young kids throughout North Carolina."